Laurence Cox is Director of the MA in Community Education, Equality and Social Activism at the National University of Ireland, Maynooth. He is co-editor of Ireland’s New Religious Movements (CSP, 2011), Understanding European Movements (Routledge, 2013) and Marxism and Social Movements (Brill, 2013), and a practising Buddhist. Ireland and Buddhism have a long history. Shaped by colonialism, contested borders, religious wars, empire and massive diasporas, Irish people have encountered Asian Buddhism in many ways over fourteen centuries. From the thrill of travellers’ tales in far-off lands to a religious alternative to Christianity, from the potential of anti-colonial solidarity to fears of ‘going native’, and from recent immigration to the secular spread of Buddhist meditation, Buddhism has meant many different things to people in Ireland. Knowledge of Buddhist Asia reached Ireland by the seventh century, with the first personal contact in the fourteenth – a tale remembered for five hundred years. The first Irish Buddhists appeared in the political and cultural crisis of the nineteenth century, in Dublin and the rural West, but also in Burma and Japan. Over the next hundred years, Buddhism competed with esoteric movements to become the alternative to mainstream religion. Since the 1960s, Buddhism has exploded to become Ireland’s third-largest religion. Buddhism and Ireland is the first history of its subject, a rich and exciting story of extraordinary individuals and the journey of ideas across Europe and Asia. This chapter introduces the aim of the book and highlights some features of Irish culture and society which are particularly significant for the development of Buddhism; it also raises broader theoretical and methodological issues for the study of Buddhism in the west. This chapter presents a reception history of Buddhism, not simply for Ireland, but for Europe in this period. By treating books as material facts and translation, rewriting, compiling, plagiarising, printing, distributing and so on, as material processes rather than as disembodied words, it shows, first, that a series of different knowledges about Buddhism circulated continuously in Ireland and the broader Irish world. Secondly, these processes, and the situation of different kinds of Irish people within these, were shaped by the changing world-system relations within which knowledge and people were both embedded. Thus Ireland becomes not an isolated case apart but a vantage point from which to explore broader European processes. Ireland became related to Buddhist Asia in new ways, with British global hegemony, and knowledge about Buddhism came to be produced within the social relations of high imperialism. This affected Orientalisms both mainstream and dissident, with the use of the Asian Other to critique the here-and now, and the development of anti-colonial and anti-missionary solidarity. Europeans, and Irish people, started to become Buddhist converts and sympathisers, facing far less severe formal sanctions for this, although informal social costs remained high. This chapter discusses the problem of non-conversion, with a view to understanding Buddhism and Ireland. Dublin Theosophy was not purely a literary phenomenon, but also a new religious movement opposed to exclusivist Christianity. 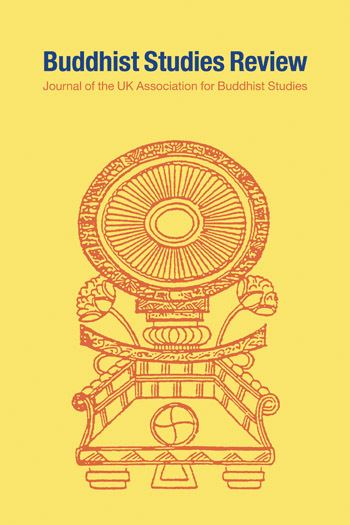 This chapter further explores the role of Buddhism in the formation of Irish Theosophy and the religious politics of the choices within Irish Theosophy which explain the absence of a post-Theosophical Buddhist development. It also discusses the 1890s counter-culture of which Theosophy was part. This chapter discusses the known early Irish Buddhists and the problem of Buddhism’s ‘hidden histories’. The literate and articulate figures identified here are almost exclusively those who had access to the published word and nothing to lose by writing about their experiences. The period from the late 1960s to the early 1990s laid the foundations for contemporary Buddhism in Ireland. Irish religion being primarily a matter of ethnic identity, community membership and political orientation, Irish Buddhism was shaped by this: part of countercultural formations in the 1960s as in the 1890s, it was shaped by anti-colonial nationalisms, resistance to capitalist modernization and challenges to taken-for-granted gender relations. Individual participants risked the loss of secure career paths and stepped outside safe family structures. This chapter explores how publicly organised Buddhism has developed in Ireland. This chapter also discusses the growing interest in, and respectability of, Buddhism in Ireland from the 1990s on, as well as issues of hybridity, creolisation and refusal of identification, which are constitutive of Irish Buddhism. This is a truly fascinating book on how Buddhism arrived and was localised in Ireland. It shows how Ireland was never isolated from a global circuit of knowledge on Buddhism and Asia mediated by empire building, nationalism, colonialism, religion and ethnicity. With a cast of Buddhist characters you couldn’t invent, this insightful and clearly written account of the extraordinary relationship between Buddhism and Ireland deftly challenges conventional histories of Western Buddhism. Laurence Cox reveals why the practice of Buddhism may flourish in Ireland - and why Irish Buddhists have a longer history than we might suppose. Focus and perspicuity inform this admirable work on conversion and seeking. The book is relevant to students and researchers interested in global Buddhism, Irish religious history, and the religious transformations of Irish society in the last 20 years. Covering a huge amount of material and introducing numerous individuals who have played a central role in shaping and forming Irish–Buddhist relations, [it]—like all good contributions to academic research—opens up many new questions and research opportunities on Ireland’s historical engagement with religions outside the Christian mainstream and on its current growing religious diversity. The historical material in this book is so rich and fascinating that it is impossible to do justice to the section on contemporary Irish Buddhism in this review. This is a splendid study which should appeal to general readers and not merely to devotees or those who have an academic interest in Buddhism. It is an outstanding contribution to a new and exciting branch of Irish Studies. Professor and practitioner Laurence Cox's survey of Irish Buddhism shines as the first light projected into a dim space nearly every colleague might have dismissed as all but vacant. Instead, this lively book sparks energies within texts, interviews, tracts, tapes, filled by traces he delineates and connects. A history of Ireland interconnection with Buddhism to a scale of study that to the best of our knowledge had so far been unprecedented. It is a rich, magisterial book, lively and surprising in its many twists and turns. Offers readers a well-written, meticulously-researched and insightful analysis of the historical and modern realities facing Buddhists in Ireland and Irish Buddhists engaging with the dharma outside of Ireland. Cox thoroughly defines all field-specific jargon, draws on personal experiences, and uses humor, making the book thoroughly enjoyable for (and accessible to) academic and non-academic readers. 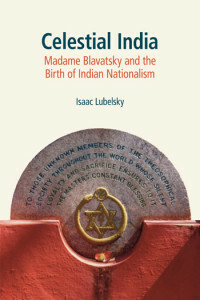 By considering Buddhism as a social movement, and approaching it through the eyes of an adopting community, this book offers a unique perspective of the religion and its position in western society. Cox furthers conversation of Buddhism in the West and incorporates discussions of colonial and post-colonial studies, Buddhism as a social movement, and early Western critiques and interpretations of Buddhist traditions. This book will be of interest to scholars of Irish history, modern Buddhism, and those interested in the intersection of social movements and religious traditions in the modern day. This is an excellent work and a pleasure to read. Alongside an exploration of how identities have been constructed in Ireland and dissident responses to these, it offers an enthralling portrait gallery of colourful characters with extraordinary and adventurous lives. Finally, starting from the margins he offers an innovative reading of the different periods examined and tackles contemporary Ireland in a way which makes it possible to discover a wealth of new developments in fields other than religion. Buddhism and Ireland: From the Celts to the Counter-Culture is a major work of research, and deserves a wide readership. Laurence Cox is to be congratulated on his achievement in making available this hitherto unknown, yet deeply fascinating, story. The breadth of the sources Cox uses and the unique perspective he provides make this a fascinating read. Cox has written a careful and analytical account of the encounter between Buddhism and the Irish. It has set a wonderfully broad yet detailed and original context for the personal stories and journeys of converts, colonialists, and Irish nationalists that he peppers throughout. The book’s examination of Buddhism in the capitalist world-system that imperialism nourished and Irish resistance to this system is multifaceted and dispassionate, and does not shy away from nuance or complexity. This is high-quality Buddhist history—done in a sophisticated, sympathetic, and sociologically grounded way—that we urgently need to see more of today. 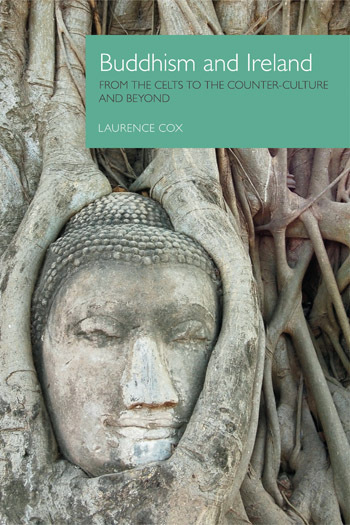 With the work of Laurence Cox and Brian Bocking, amongst others, Ireland has become rather a hub for studies of Western Buddhism, but this book still offers something new within the genre. With a deep sensitivity to Ireland’s disarmingly diverse religious mentalities, Cox has produced a study that offers both a history of one nation’s engagement with Buddhism and a subversive insight into the ways in which modern Ireland has engaged with the “other.”Cox's curiosity is always engaging. This is a very informative and well-researched study with much to stimulate further research.